Thanksgiving has always been one of my favorite times of the year. It evokes images such as the pilgrim’s first feast, children playing games, churches singing praises, and families gathered up together to pray. 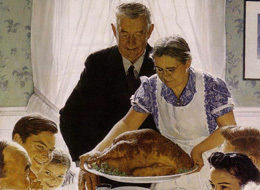 While the first Thanksgiving feast was held in 1621 by the Plymouth colonists, it was over 200 years later in 1863 that President Abraham Lincoln proclaimed a national Thanksgiving Day to be held each November. Since that time, the premise behind the holiday has been pure – acknowledge God for all He has done and give Him great thanks. One of the reasons I love this holiday so much is because traditionally it has not been cheapened by commercialism like the Christmas and Easter seasons. 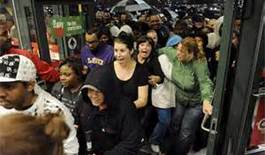 However, the black cloud known as Black Friday has descended and it hovers over Thanksgiving Day. I remember a few years ago setting the alarm for 3 a.m. on the Friday after Thanksgiving so that I could get the best deals of the year. Then stores opted to open at midnight. You could stay up late and shop til you drop and I was among the thousands last year that did just that. But this year stores are announcing that they will begin their Black Friday sales even earlier. Toys R Us, Wal-Mart, Sears, and Kmart will open their doors at 8 p.m. on Thanksgiving Day. Why? So people can go from gobbling up their turkey to gobbling up savings. We’ve come a long way. 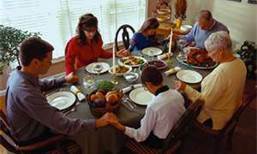 Thanksgiving was once a spiritual time of thanking God for His bountiful blessings, but the focus has shifted to the physical and commercial aspects. The thanksgiving attitude of contentment has seemingly been replaced with a discontented attitude of wanting more and more stuff. Instead of spending time with our family, we spend money they don’t have for things we don’t need. An even sadder annotation is the people who don’t choose to spend their Thanksgiving holiday in the stores. Rather they are the ones who want to be at home with their family, but are forced to work the stores in order to keep a job. 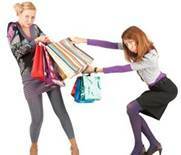 Is it really all about the money, retail sales, and commercialism? Or perhaps there is an unseen force that has always attempted to stomp out gratefulness in the hearts of people who would give the Almighty the thanks He deserves. My prayer this year is that in the midst of all that activities, parades, cooking, football games, traveling, family gatherings, and Black Friday deals that God’s children will stop, slow down, and acknowledge Him with a thankful heart. And my prayer is that it will start with me. “Let us come before his presence with thanksgiving, and make a joyful noise unto him with psalms,” Psalm 95:2. “And whatsoever ye do in word or deed, do all in the name of the Lord Jesus, giving thanks to God and the Father by him,” Colossians 3:17. “In every thing give thanks: for this is the will of God in Christ Jesus concerning you,” I Thessalonians 5:18. I just read your article entitled “Higher Education” in an old magazine from “Home School Enrichment.” I really liked it, and I saw that you have a blog… hence me checking it out. 🙂 Anyhow, I really enjoyed your blog. I recently started “blogging” about my homeschooling experience. If you have some time, will ya please check it out? It’s http://www.lifesgoodshoppingattheclearancerack.com. Thanks, and may God continue to bless you and your family. Thanks Dawn! I will certainly check out your blog. Many Blessings!